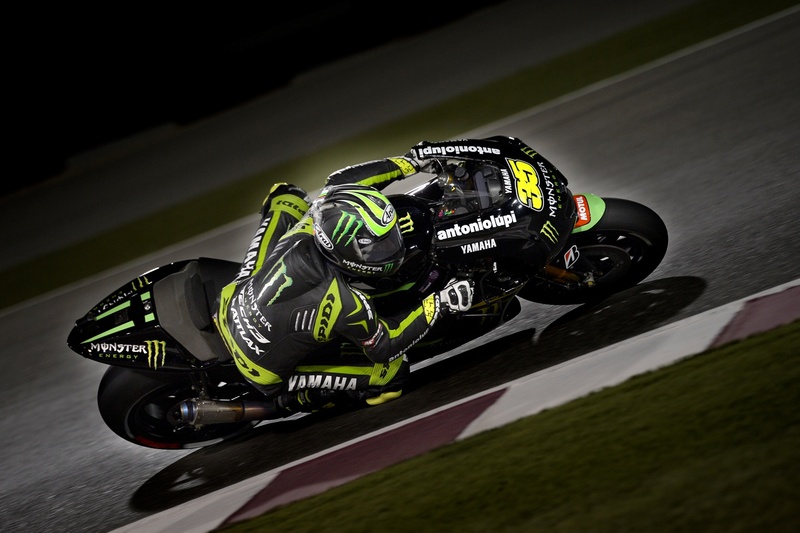 Britian’s Cal Crutchlow continued his stunning run of form in the opening round of the MotoGP season by qualifying on the front row of the grid, in second position. Monster Yamaha Tech 3 rider Cal was fastest in the last pre-season test session at Jerez, and he has carried this pace through to the season opener. Finishing third in combined free practice, Cal made it onto the front row in the new MotoGP qualifying format. His time of 1.54.916 was only 0.202 off fellow Yamaha rider, Lorenzo’s top time. Crutchlow’s rookie team-mate Bradley Smith is continuing to impress by qualifying 9th on the grid. Bradley’s time of 1.56.315 only 1.610 seconds off Lorenzo’s time.